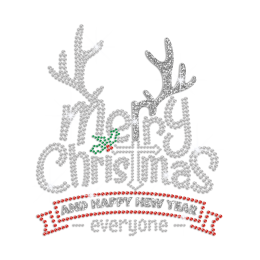 We are giving you all the Christmas designs that you must have in order to feel that Holiday spirit. 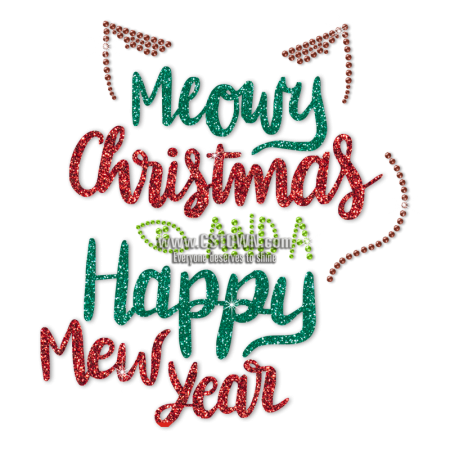 Take a look at this Meowy Christmas and Happy New Year Glitter Transfer, we bet that won't let you down. The size of this design is 7.3 X 8.0. 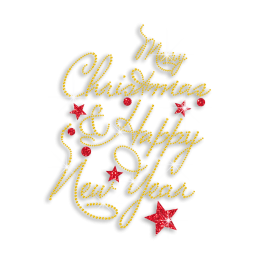 Spring Green (CKR06), Brown (CKR05), Red (K5),Emerald (K3) are used in this design. 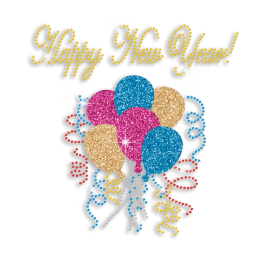 This shining design is made up of Glitter,Rhinestone.